This is one of my very favorite summer dinners. It’s so simple that I won’t even really call it a recipe (or write on below for that matter), but it is too good to not share for anyone who might not have thought about it. 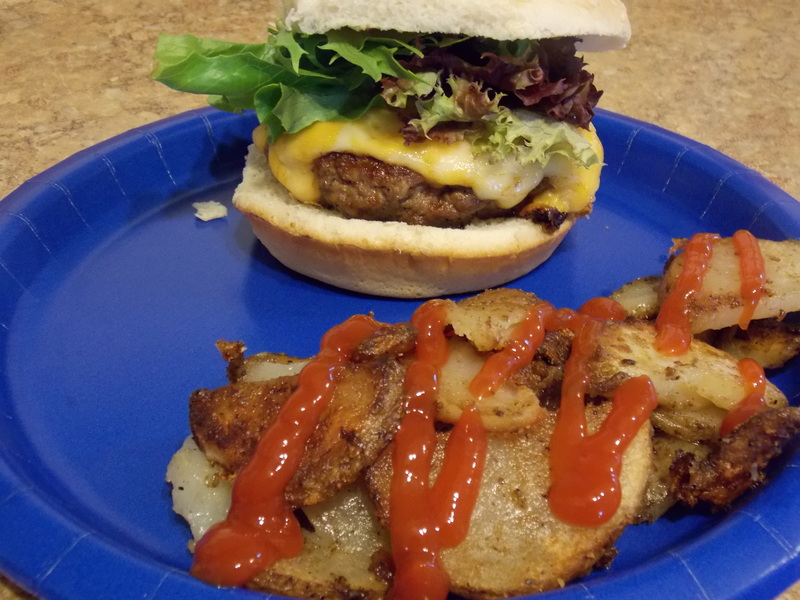 To create this meal, you need three ingredients: chicken, potatoes, zesty Italian dressing. That’s it. 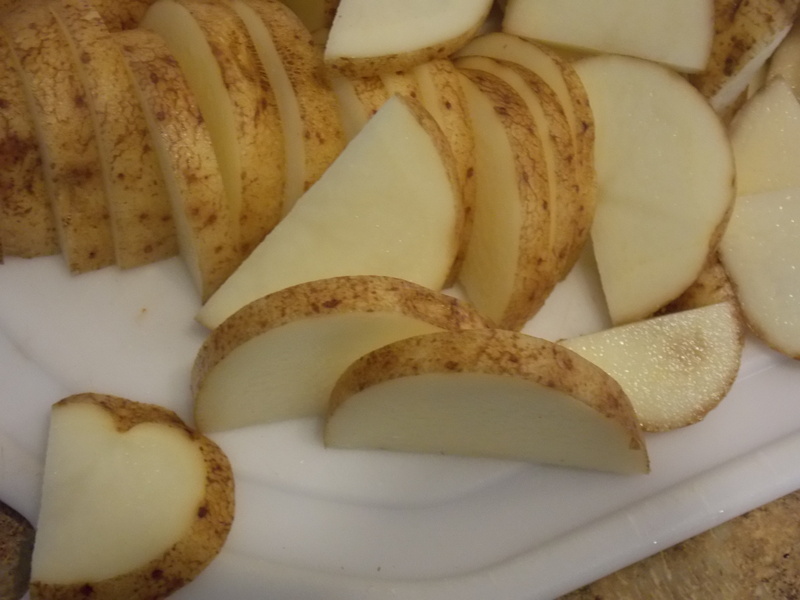 Wash your potatoes well and slice into 1/4″ slabs. 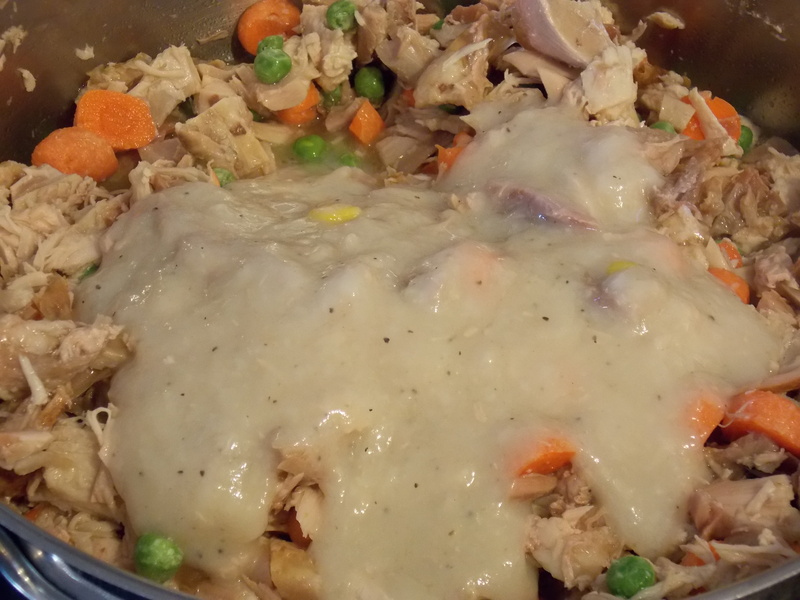 Place chicken in one bowl and potato slabs in a separate bowl. Cover each case bowl with zesty Italian dressing. Let marinate for at least a half hour. Grill. The potato slabs take about 20 minutes. Cook time on the chicken will vary depending on what cut of chicken you use. 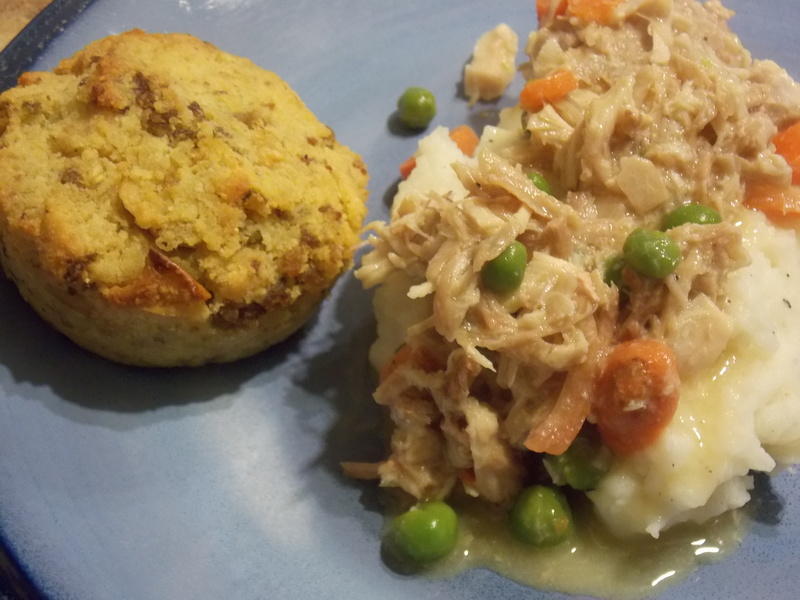 I use boneless, skinless breast filets and they cook in slightly less time than the potatoes. Add a side salad or some fresh veggies and you’ve got a delicious, healthy and super simple meal! I have never bought any kind of chard in my life. So, when I got a bunch of beautiful rainbow chard in my Bountiful Basket, I had to do a little research. I’d seen it used on cooking shows before. And everything I read said that you could use it pretty much anywhere you would use kale. I knew that I wanted to use those beautifully colored stalks. I decided the best use would be to pair it with a protein and make it a main dish. I make a soup with Italian sausage and kale, so I figured that would be a good bet. I started chopping stuff up, tossed it in the skillet and what came out was delicious. I served it with butter and garlic whole wheat spaghetti. My 3 year old called it leaves and worms and gobbled it up. My 6 year old had seconds (and maybe thirds). In my book, that’s a major win. 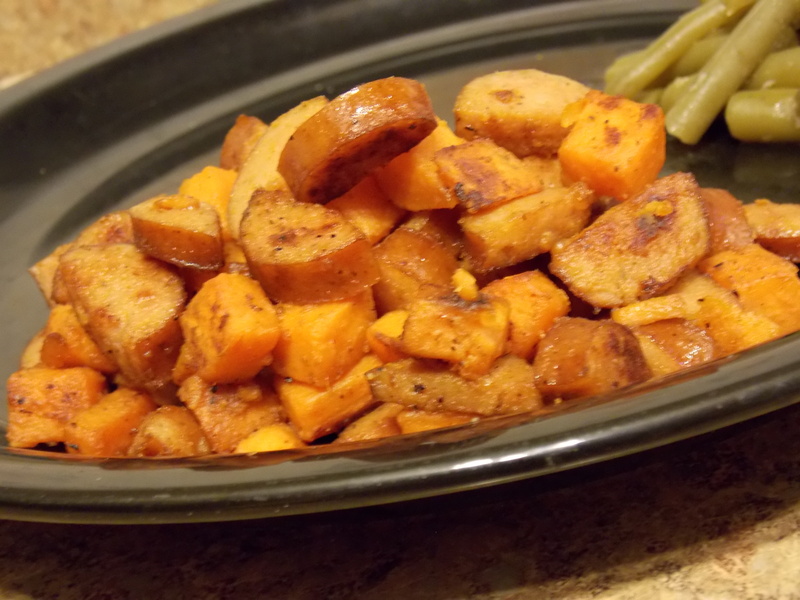 I diced a couple of small red potatoes in this recipe. Honestly, this would be just as good (and maybe even better) without them, but I had some I needed to use. Start by browning a pound of Italian sausage in a hot skillet. I use mild Italian sausage because my kids prefer it. This dish would be great with either mild or hot. I don’t use any oil in the skillet. The sausage cooks out enough oil for the entire dish. Don’t be afraid to let it get nice and brown. Crumble it into the hot pan and walk away for a minute or two. If you stir it around too much, your sausage will be all grey and, honestly, missing a flavor that only a good browning can give. I tried to take a picture of this, but all of the shots I took were too close up and looked decidedly unappealing. When the sausage is nice and brown, add onion, garlic, bell pepper and potatoes (if you’re using them) and sautee until onions are translucent and potatoes start to soften. 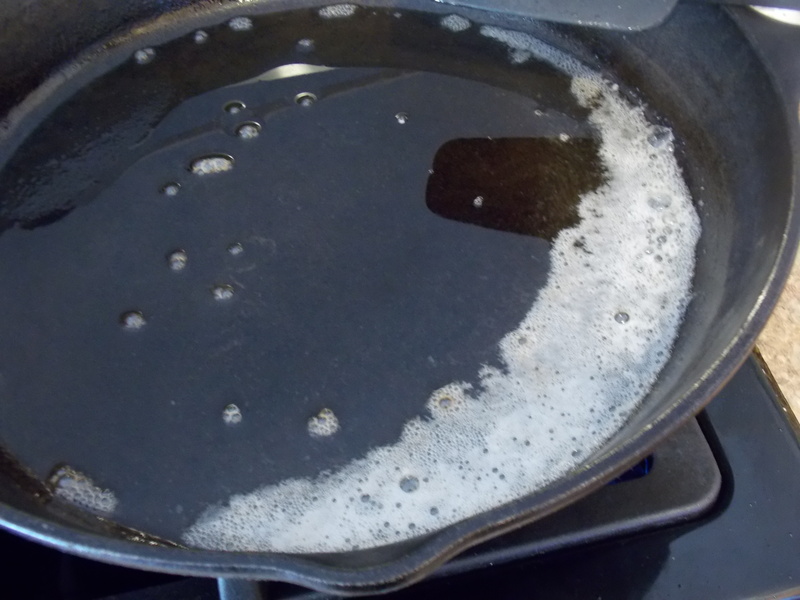 Use a little white wine or chicken stock (or even water) to deglaze the pan. Once you’ve loosened all the little brown bits off the bottom of the pan, add the chard to the top of the pan, cover with a lid and reduce heat to low. Let this cook with the lid on for about 5 minutes. Remove lid and stir. Season with a dash or two of nutmeg and some salt and pepper to taste before serving. Place a large, heavy bottomed skillet over high heat. 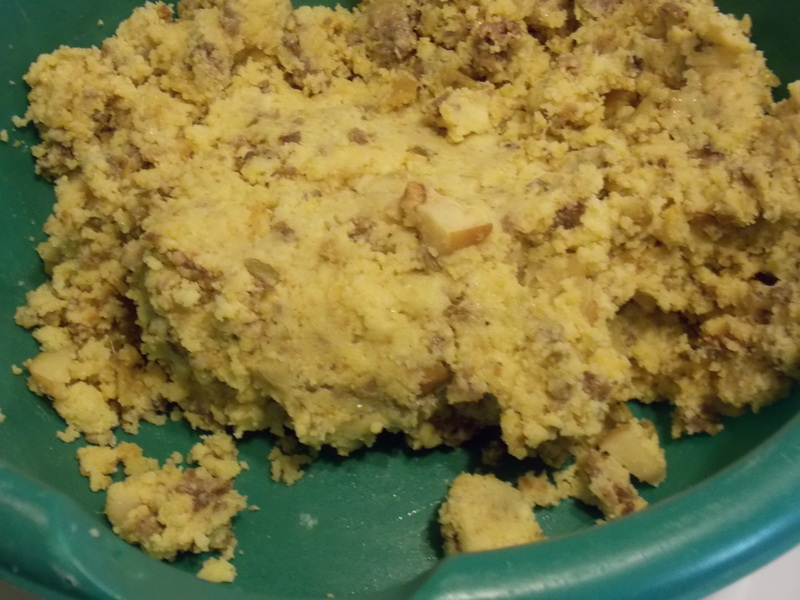 Crumble Italian sausage into skillet and brown, stirring occasionally. When sausage is brown, add garlic, onion, bell pepper and red potato. Saute over high heat until onion is translucent and potatoes are almost cooked through. Deglaze pan with stock or wine, stirring to release brown bits from the bottom of the pan. 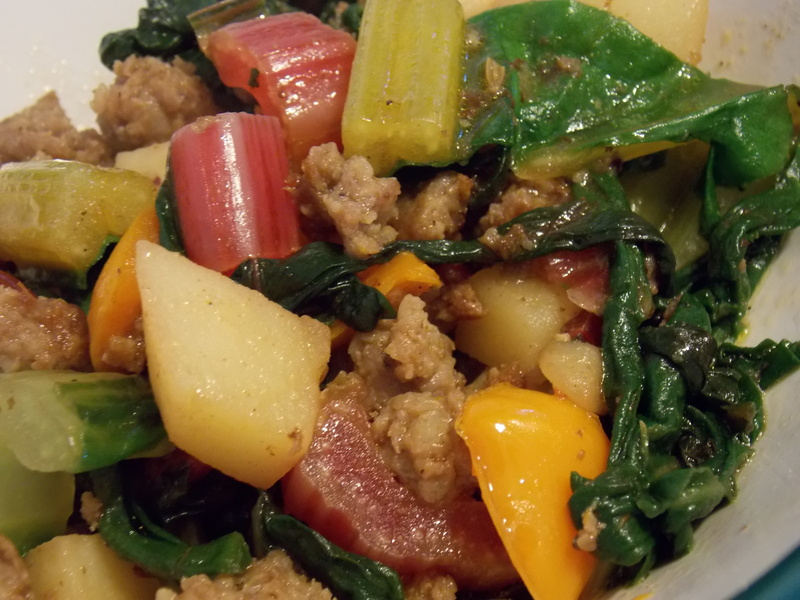 Add chopped chard on top of meat mixture, cover with lid, reduce heat to low and cook for 5 minutes. Remove lit, stir, season with nutmeg, salt and pepper. 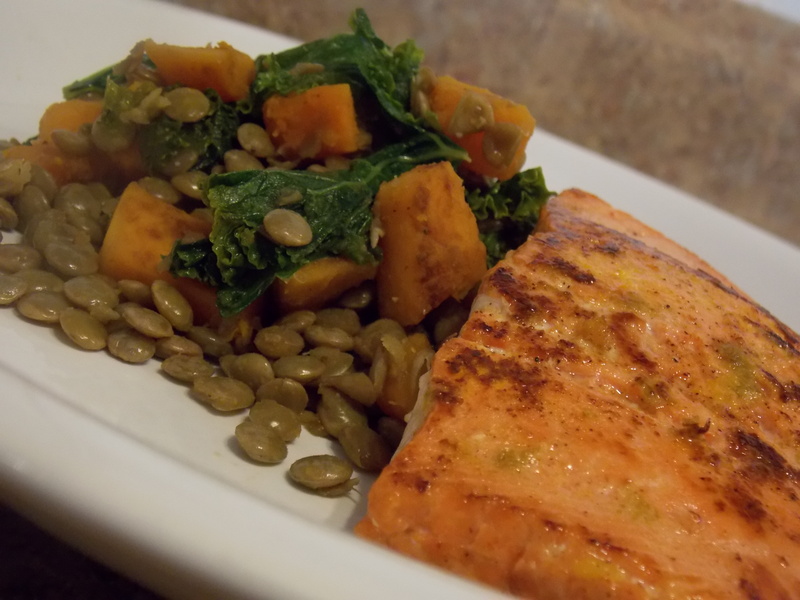 Remember my recipe for delicious, healthy and beautiful lentils with butternut squash and kale? Turns out I’m not the only person who thinks kale and butternut squash are a fantastic fall combination. The Pioneer Woman herself posted a recipe for butternut squash and kale today. My mom always said great minds think alike! That, however, is not the point of this post. The point of this post is to share with you the recipe for the salmon I served with that dish. Simple, refreshing, flavorful and healthy. 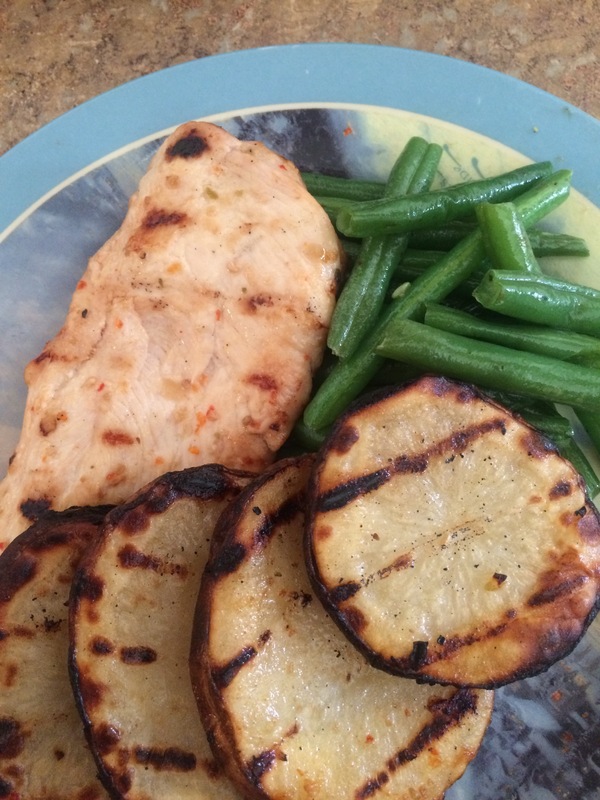 This is one of my go to proteins – especially on nights when I just don’t really want to cook. If you don’t mind the skin on your salmon, leave it on. If you can buy skinless filets, do that. My grocery store only sells fresh filets with the skin on, so I’ve got to skin mine. I also check for and pull any pinbones. I don’t want my babies, or my husband, choking. 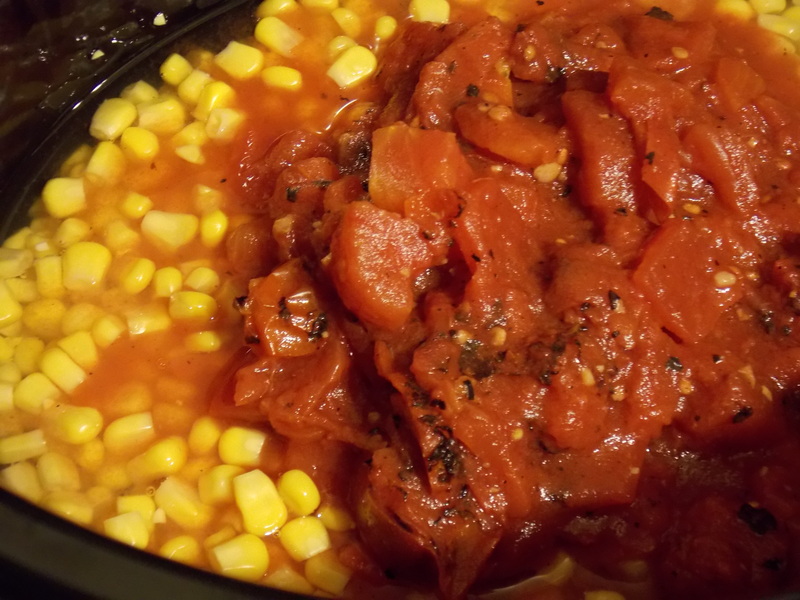 Then, I just toss the little liquid soaking thing from the tray and put my fish back in that tray to marinate. 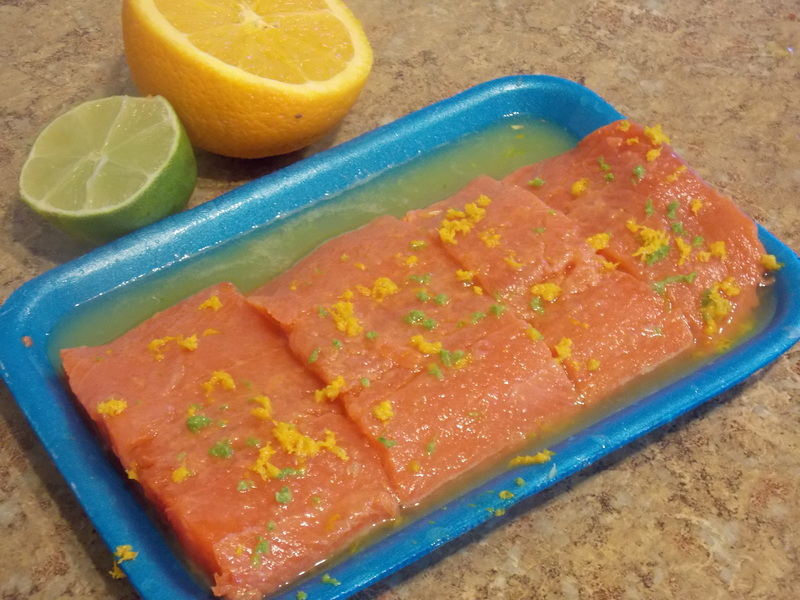 Zest a lime and an orange and then squeeze the juice from half of each over the salmon filets. Let marinate for no more than 30 minutes. Season one side with Cajun seasoning (I like Tony Chachere’s) and place seasoned side down in a hot non-stick skillet. Sprinkle unseasoned side with some more Cajun seasoning. Cook for 3-5 minutes until nice and brown. Flip and cook until desired doneness. My husband freaks out if I cook this anything less than well done. Shame, really. Serve with practically any side. My favorites are a big leafy green salad or some roasted asparagus or, of course, my lentils with butternut squash and kale. Remove skin and pinbones from salmon filets. Mix together lime zest, lime juice, orange zest and orange juice. Pour over salmon filets. 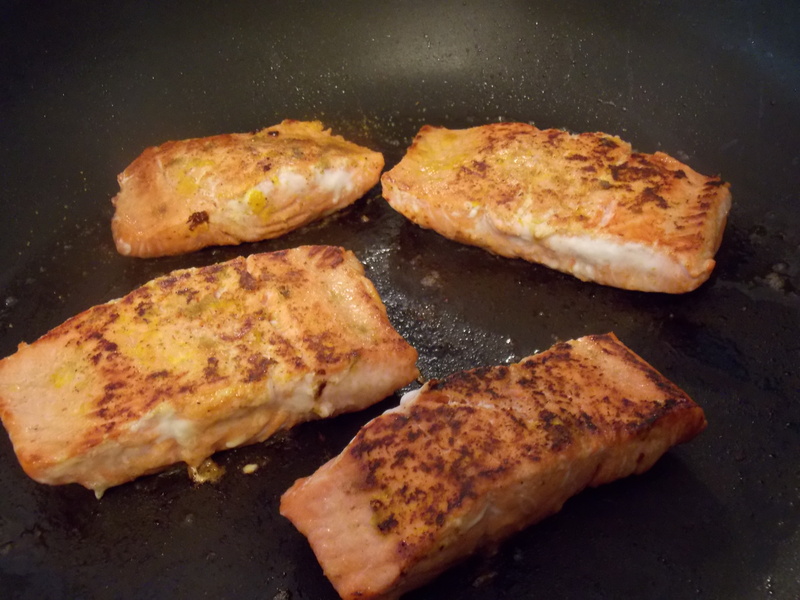 While salmon marinates, heat oil in a large non-stick skillet. When oil is hot, season one side of salmon with Cajun seasoning. Place seasoned side down in hot skillet and season other side. Cook 3-4 minutes until browned. Flip and cook to desired doneness. It doesn’t matter if it has been hours since our last meal or minutes, it seems my kids are always hungry. And, especially in the desert heat, their favorite snacks are the frozen kind. As a mom, I want them to make better choices. But, I can only offer fruit or carrots or cheese sticks so many times before they refuse to compromise. Sometimes I can get away with frozen grapes, but even that is iffy. These smoothie pops, however, are usually fool proof. And, since there is no added sugar and a ton of protein and calcium, I don’t feel the slightest bit guilty about letting my kids eat them. 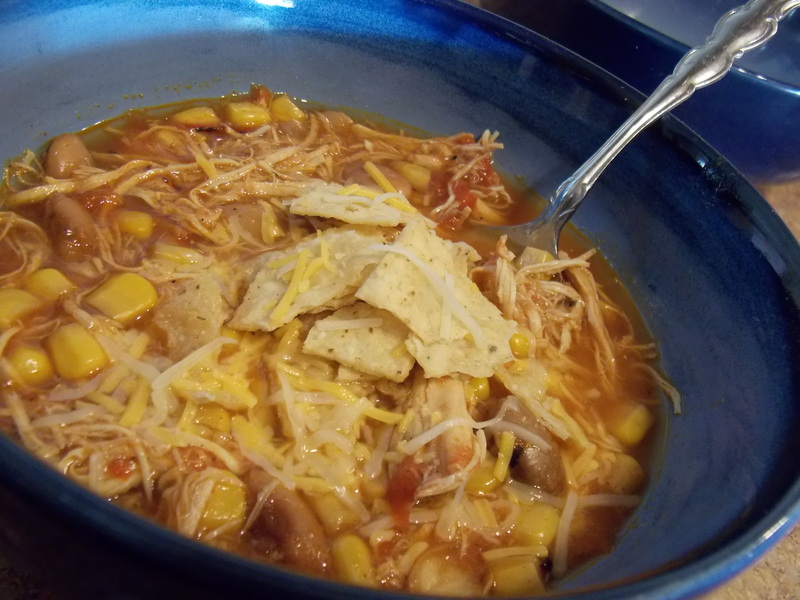 They are super easy to whip up and the flavor combinations are pretty much endless. For this particular batch, I used raspberry yogurt and mixed berries. Just use whatever fruit you have on hand and your favorite flavor of yogurt. I’m pretty sure my next batch will use coconut yogurt and diced peaches. Just stir together the yogurt and almond milk (you could use regular milk or coconut milk or soy milk or whatever ‘milk’, but almond milk is low calorie and high calcium, so that’s what I use). Place your fruit in the bottom of your popsicle molds (or small paper cups), pour the yogurt mixture over it, place the sticks and pop them in the freezer for a few hours. Voila! Happy kids and guilt free mom! Stir together yogurt and almond milk. Place 1 Tablespoon of fruit into each of 8 popsicle molds (or small paper cups). Pour yogurt mixture over fruit, making each popsicle as even in size as possible. Place sticks into mold and freeze for 4-6 hours minimum. 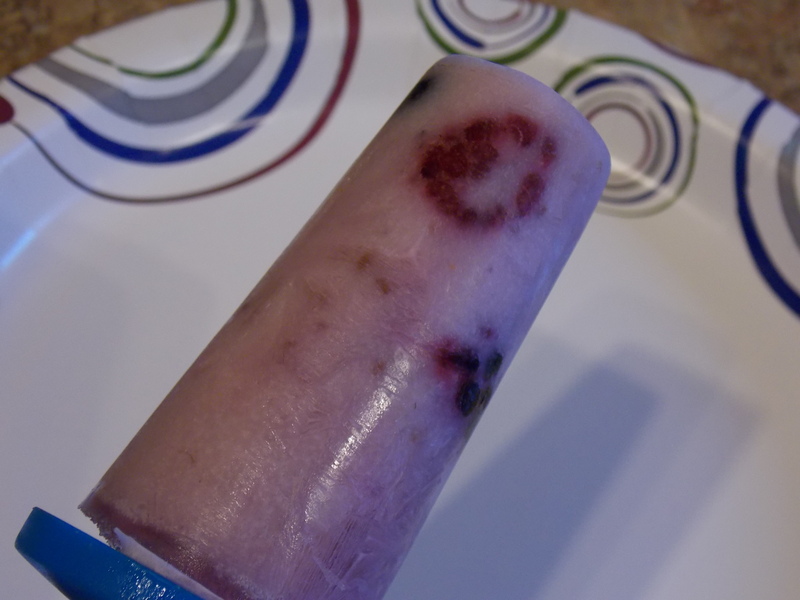 To remove from mold, run a little water over the outside of mold until popsicle can be easily removed from mold. *Any dairy or non-dairy milk can be substituted for the almond milk. The last few days have been unusually busy and exhausting. Even with no Friday night practice or Saturday game this weekend, I came to tonight feeling drained. Dinner had to be filling and simple. And, for my sanity, it had to be something no one would complain about. This recipe fits the bill. There are seldom any leftovers, but when there are, they make a great breakfast – just cook up an egg to your preference and voila! Or, you could toss in some green chile, scrambled egg and cheese and roll it all up in a tortilla (which is what my husband prefers). Anyway, for dinner, start by cubing up a large sweet potato (you could use two or three smaller ones, but I hate peeling the dang things). 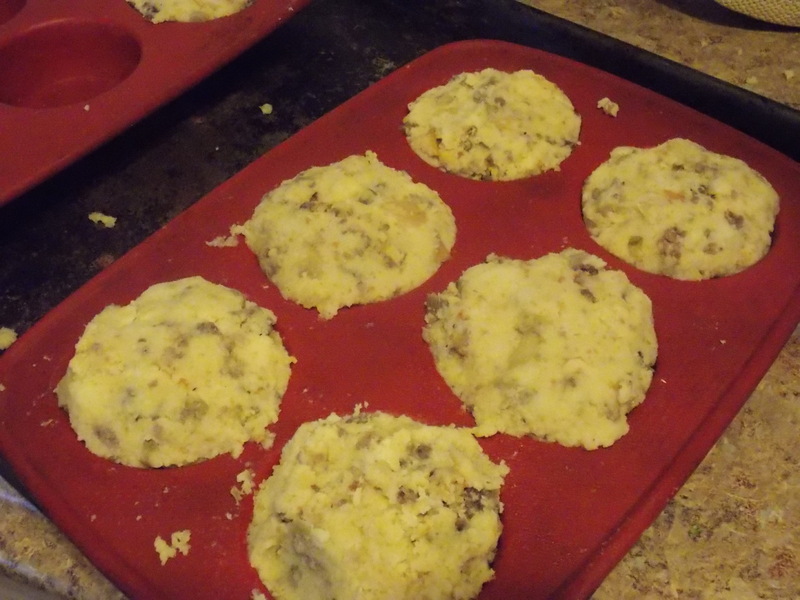 Then toss them into a hot skillet with some butter. Turn the heat down to medium low or low (depending on how hot your burner is). 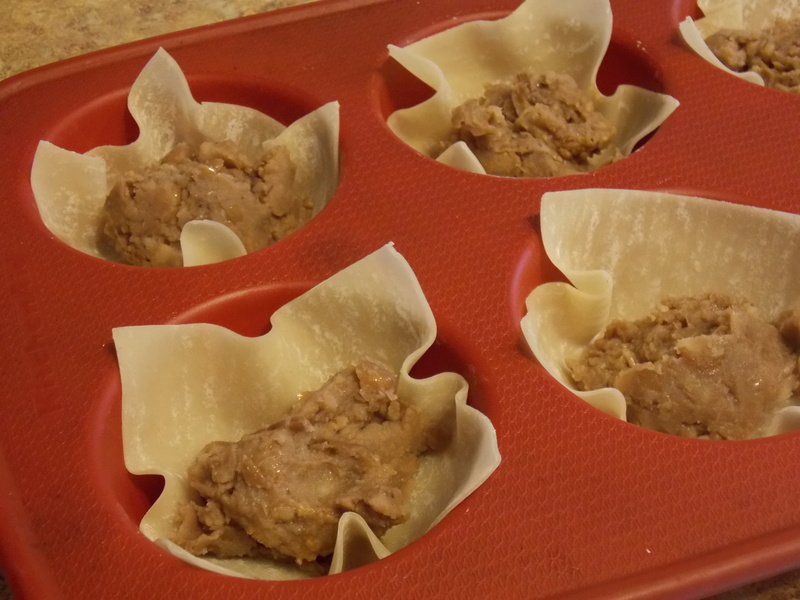 Lid them and let them cook for a few minutes until they start to get brown. 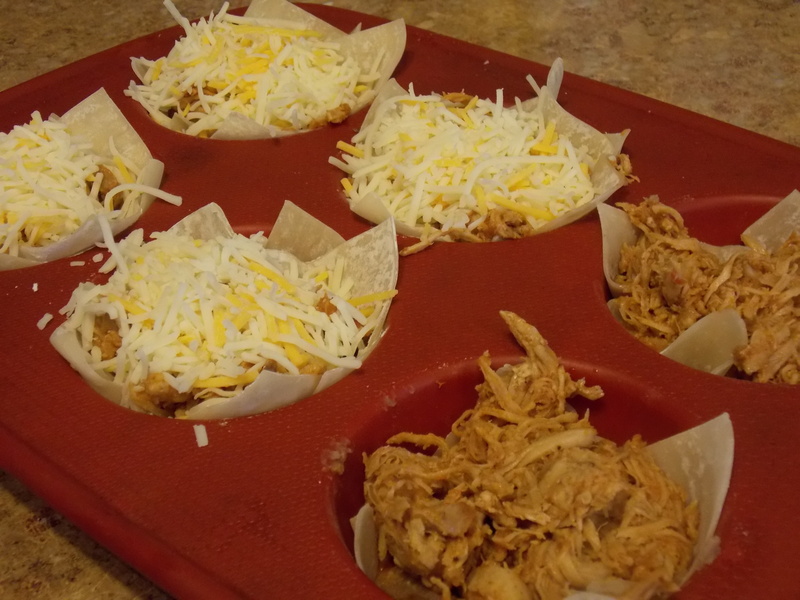 Stir them around and add 1/4-1/2 cup water to the pan and lid it again. 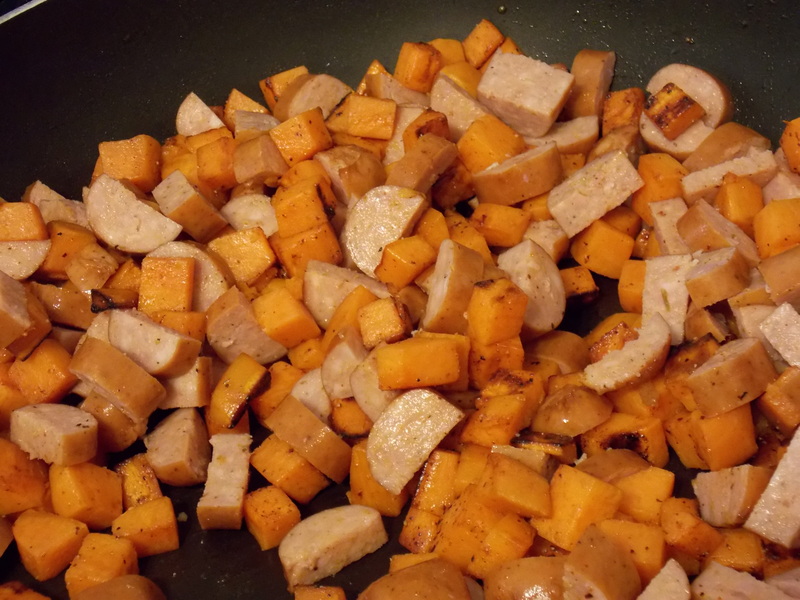 When the water cooks off and the potatoes are mostly tender, add the sausage (which you can cut up before you start cooking or while the potatoes are cooking).My usual grocery store has stopped carrying full sized links of the smoked sausage brand I like best. Thankfully they still carry it in bratwurst-size links and they work just fine for this recipe. Season with salt, pepper, onion powder and chile powder. Cook until the sausage starts to brown and the potatoes are completely tender. Before anyone asks, yes, those are canned green beans on the plate. Yes, I ate them AND served them to my family. No, I am not ashamed. They’re convenient, quick and reminiscent of my childhood. Of course, they taste distinctly better if you add a little bacon grease, grated garlic (on my microplane so it is superfine) and black pepper to the pan and let it get toasty before you add the green beans. Which just happens to be exactly what I did. 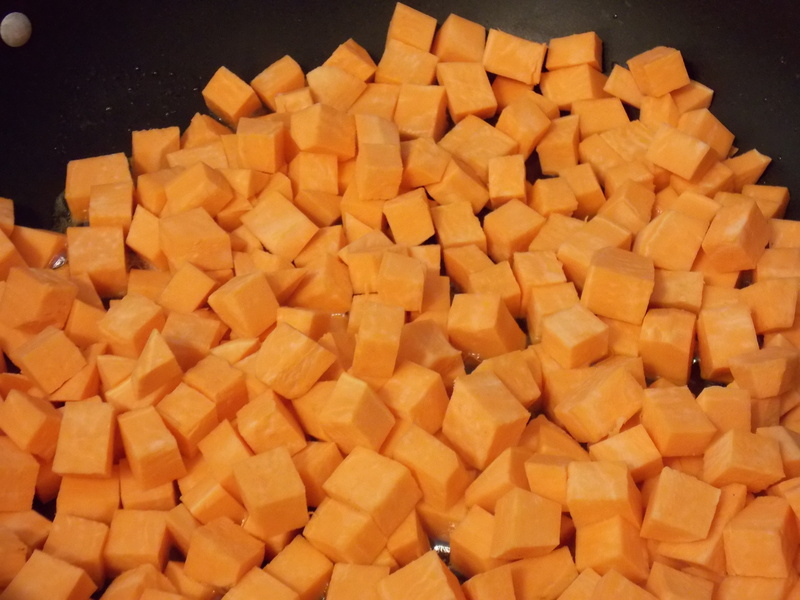 Peel sweet potato and dice into 1/4″ cubes. Split sausage down the middle and cut into half moon shapes. Heat non-stick skillet and butter over medium heat until hot. Add sweet potatoes, reduce heat and cover. Cook for 4-5 minutes or until potatoes start to brown. Stir, add water and replace lid. 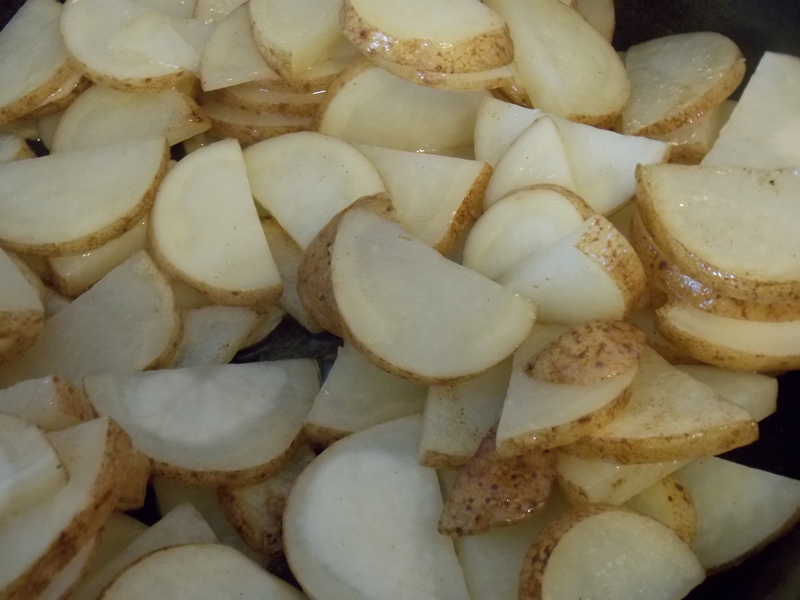 Cook until all water is gone and potatoes are mostly tender (5-10 minutes). Remove lid. Add sausage, salt, pepper, onion powder and chile. 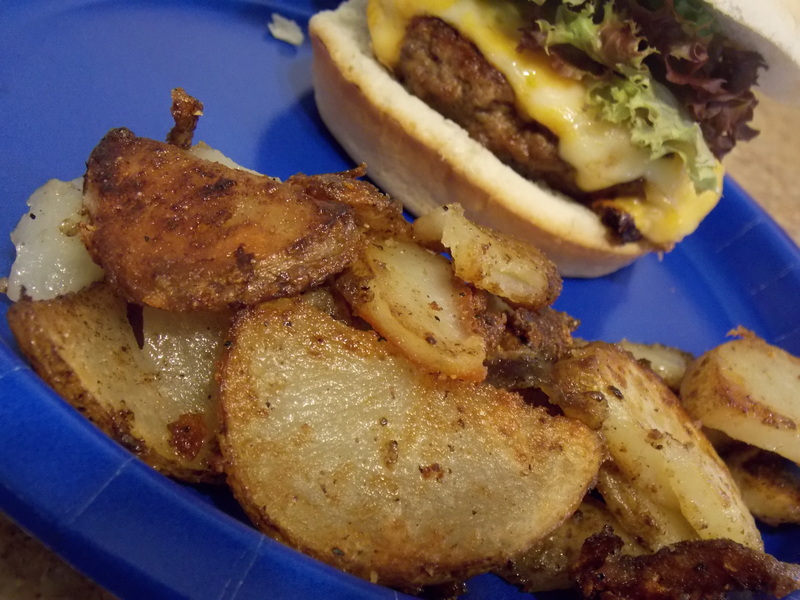 Continue cooking over medium low heat until sausage is brown and potatoes are tender.